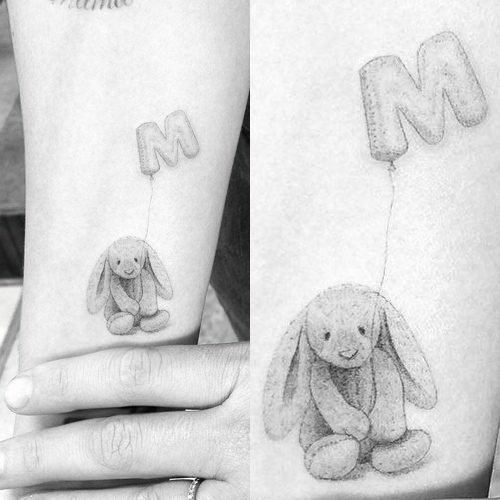 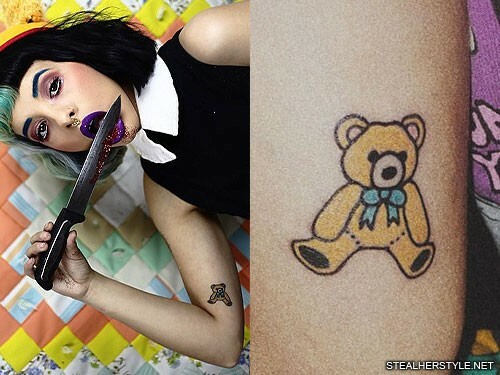 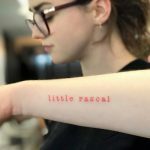 Melanie Martinez got a trio of new tattoos from Lauren Winzer in August 2016, all of stuffed animal characters. 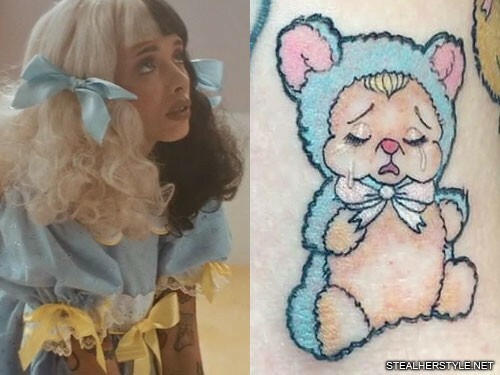 This one on the front of her arm is a crying little child dressed in a blue teddy bear costume. 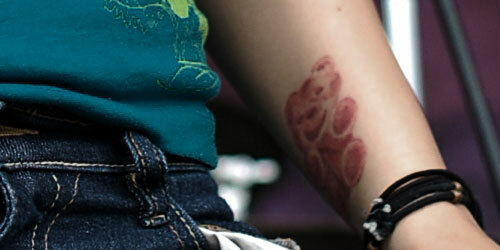 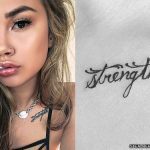 Krysta Cameron has a gummy bear tattooed on the inside of her left wrist. 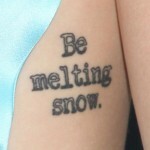 It is done using varying shades of red ink without any black outlines. 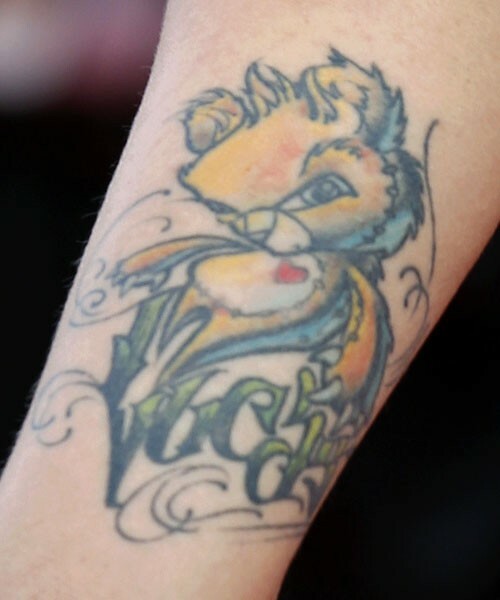 Maria Brink has a cartoon bear tattoo on the back of her upper left arm. 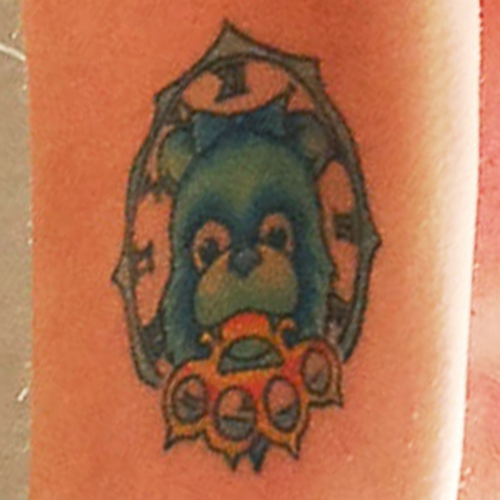 The blue teddy bear’s head has golden brass knuckles in its mouth and a bow on its head. 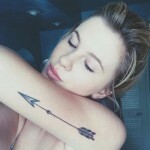 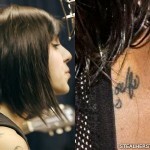 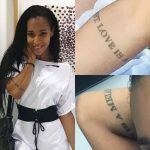 The frame around the tattoo has Roman Numeral numbers forming the face of a clock.